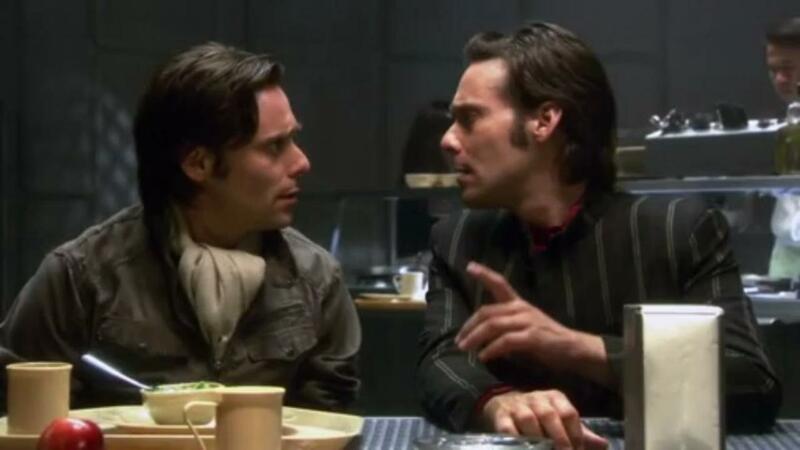 As for Baltar’s final speech, it makes his cult storyline a bit more complex. “The truth is that we are all perfect just as we are,” he says, and it’s easy to see why people would feel so drawn to that idea; it’s also easy to see just how dangerous this kind of mindset can be. This two-way street is encapsulated by Tory’s character, who ends up embracing her Cylon identity and justifying her actions under this idea. Aaron Douglas continues to kill it this season, and this episode does well by combining the Tyrol and Baltar stories; much like that big Adama-Tyrol scene at the bar in “Escape Velocity”, this episode culminates in an excellent scene between Baltar and Tyrol, and it’s quite possibly the most genuine the former has been in a long time. I really like how the show is delving into Baltar’s storyline through other characters like Tyrol, rather than keeping him isolated. As for Starbuck, the show is paralleling her and Baltar’s leadership roles a bit. Starbuck was once a fierce, driven, and respected leader, but now, even her own crew members are losing faith in her after they see her listening to Leoben. She’s losing power and is now pushing on based on instinct, whereas Baltar is gaining it. This is probably the strongest of the season thus far, and it not only is beautiful to look at, but also is a nuanced, intelligent look at the idea of faith. All these characters must come to grips with their mortality now; for example, the Cylons don’t have the Resurrection Ship around to help out anymore, so the two who die in this episode aren’t coming back. And it’s not like death was easy for them beforehand–nor is it the case that past events don’t have profound impacts on their psyches–as we see clearly during the scene in which Barolay is killed. In terms of faith and mortality, the Roslin-Emily cancer storyline is even more relevant. Ultimately, the episode suggests that faith is more about the individual than the society, that faith is what you yourself make of it. It’s an interesting discussion and a heartbreaking performance by Mary McDonnell.